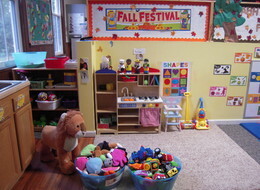 Home on the Grange Child Care & Early Learning Center’s mission is to provide the highest quality of care in a safe, nurturing environment where learning can occur and the whole child can grow socially, emotionally and intellectually. Come see the coziest daycare center in Middletown. Our facility has many different enrichment programs to help the development of a range of skills. My kids have such a great time at Home on the Grange. I love their programs that provide early learning for my children! WELCOME TO HOME ON THE GRANGE! 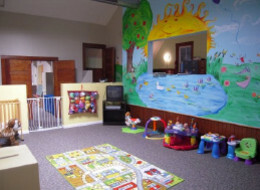 stimulating environment in which your child can develop and enhance social and early education skills. Pre school for ages 3 to 5 • Ask about our before and after school hours! Visit our Facebook page for more photos of our facility!